Construction and demolition waste certainly inhibits work productivity, especially when the materials interfere with the entire worksite layout. All Trash Oz will remove this inconvenience at an affordable price for you. Once your construction waste has been safely and effectively removed, the highly professional and experienced All Trash Oz team will ensure your property is left in an environmentally sound condition. No matter what the size of the job, trust All Trash Oz for all your construction waste removal needs. Need a quick solution on a construction clean up? 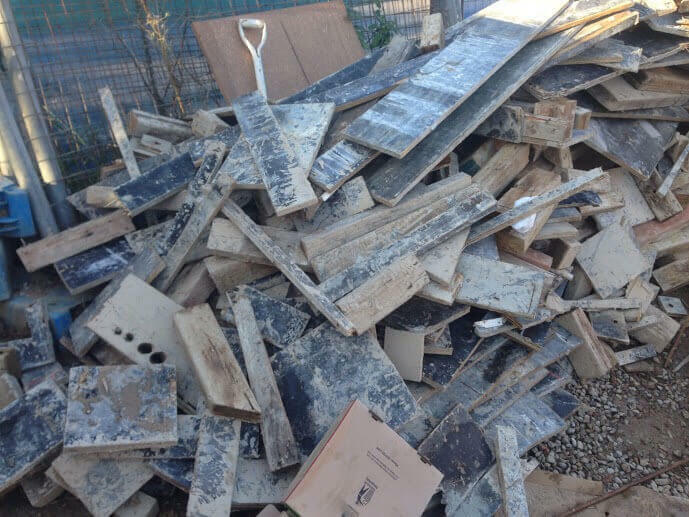 Contact All Trash OZ for the best construction rubbish removal services on 0400 061 061 or the “Get a Quote” form that is located at the top right of this page. All Trash OZ experts are standing by to assist you with your rubbish removal needs. To leave your property in a clean state, ensuring a healthy environment. To collect your rubbish and dispose of it in an eco-friendly manner. The rubbish disposal removal of All Trash Oz is one that adheres to the principles of green recycling, ensuring that all rubbish that can be recycled will be. Not just collecting your rubbish; we recycle it. At All Trash OZ, our mission is to leave our customers’ properties in the best condition, as well as to leave the smallest imprint on the environment with the disposal of their rubbish in a risk-free manner. Our rubbish disposal removal is one that adheres to the principles of green recycling, ensuring that all rubbish that can be recycled will be. We don’t just collect your rubbish; we recycle it. Outstanding construction rubbish removal services in Sydney – services are guaranteed to exceed your expectations. Offers cost efficient solutions in construction rubbish removal – Keeping prices down on your service as the All Trash team is one that is only filled by the most efficient, skilled and experienced men in the industry. We recycle – recycling helps to keep your bill down, as well as the environment green. Offers same day services – when you need a quick solution in a construction cleanup, call the professionals…. All Trash Oz! There is not job too big or small, just the great service of All Trash OZ. For the best in construction rubbish removal, contact All Trash OZ at the number below. We can also be reached through the “Get a Quote” form that is located at the top right of this page. All Trash OZ experts are standing by to assist you with your rubbish removal needs.